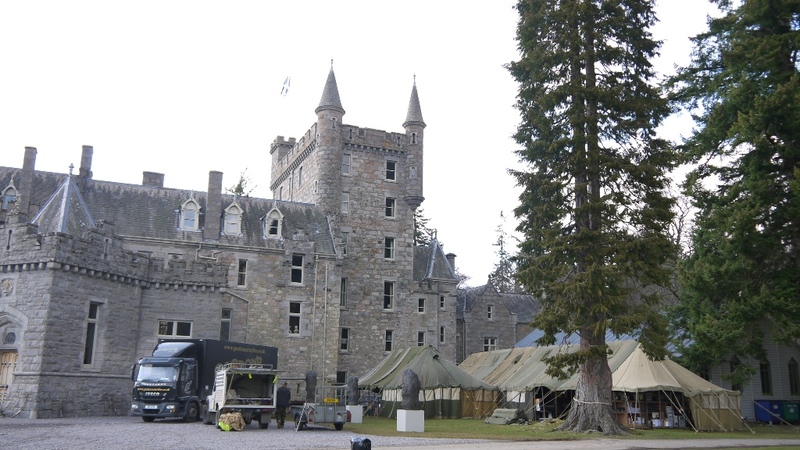 Over The Moon Tents have 20 years experience in specialist tents to offer. We will answer questions, discuss options and be flexible to client’s needs. 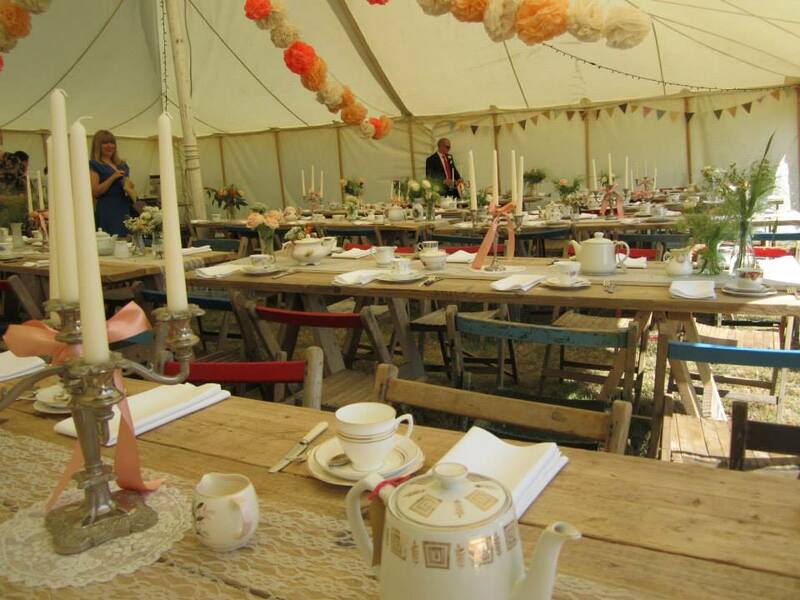 We offer the UK’s largest range of stretch tents and vintage green British made vintage canvas tents. 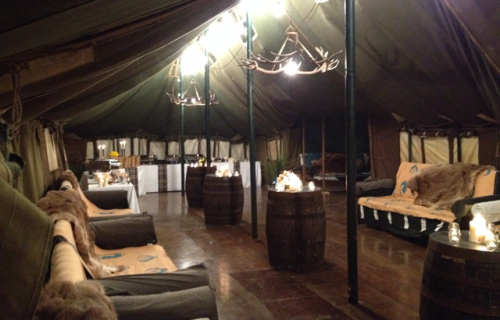 Over The Moon Tents are pros for wedding tents hire. We can style your wedding with the latest festival fashion and looks. We have specialised in Festival Weddings since 2008. Check out our Moodboards for inspiration. What’s a party without music? Tents love to hear music inside. The best times in life are hearing and dancing to music in the great outdoors under a canopy of canvas, stars and the Moon. Contact us for experienced festival bands and DJs for your event. Our professional lighting technicians light festivals, fashion shoots, birthdays, gardens, nightclubs and Over The Moon events. 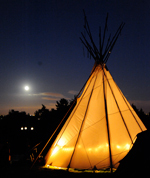 Lighting is the final artistic flourish to be fitted into tents, landscape and surrounding features. 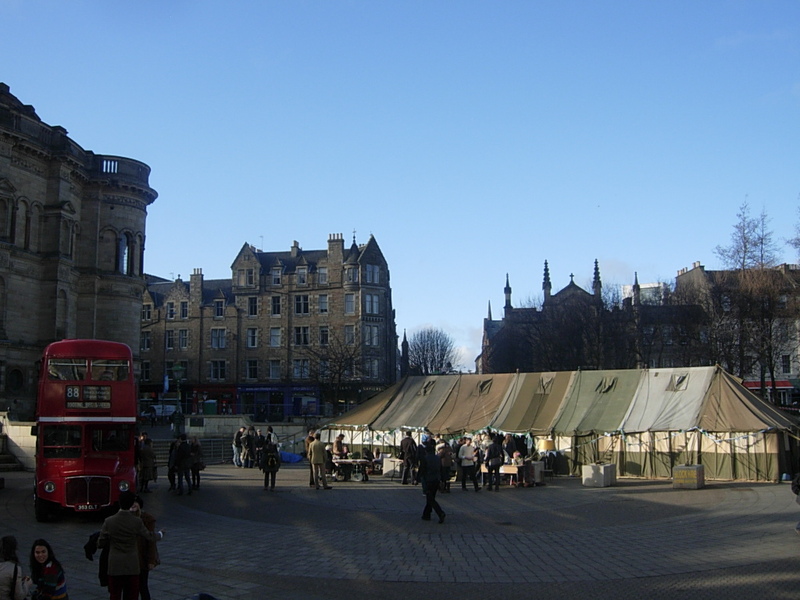 You can choose from our wide range of tents. Add your style of lighting, decor and music from our range of services. 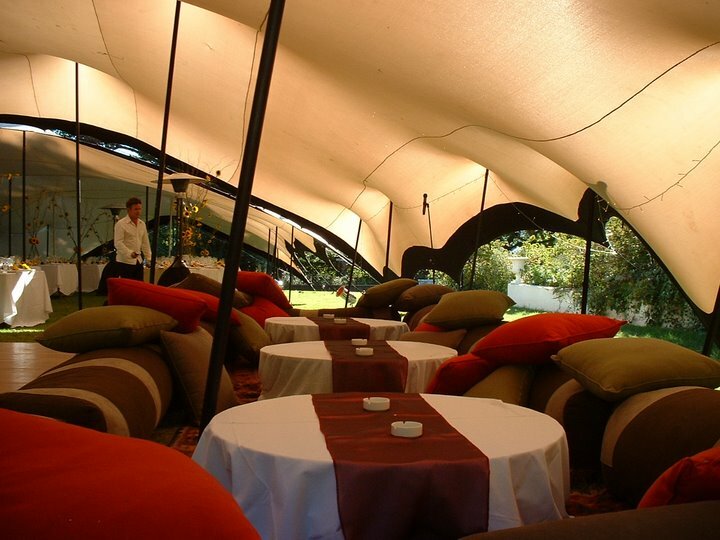 Our tents, equipment and service are top quality. Well maintained, presented and served to you promptly and efficiently. If cheap is all that matters then its unlikely you are going to choose us. We don’t need to be cheapest in the market. We’ve got 20 years knowledge, honed techniques and ensure our equipment and craftsmanship excel. 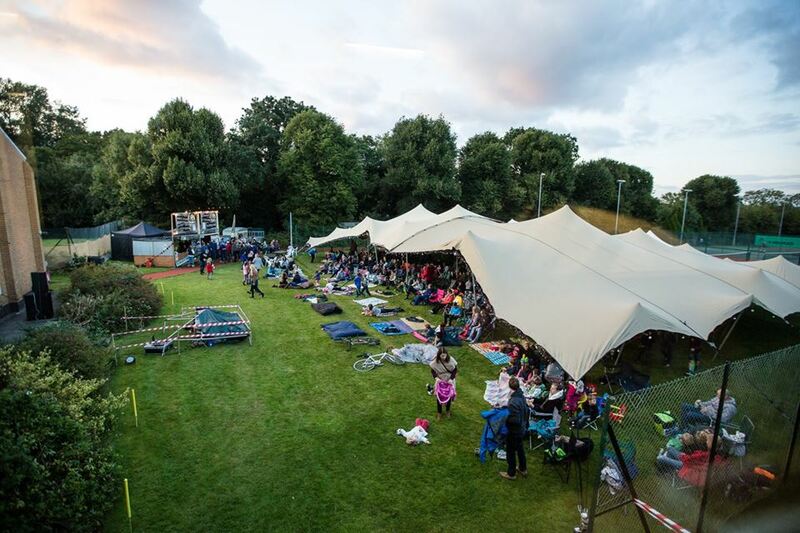 Our stretch tents are made by one of the premier global suppliers who helped develop the fabric from its inception in 2000. 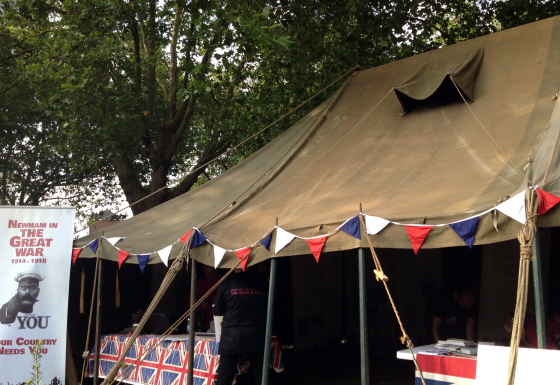 Our canvas tents are top quality British made tents. All of our equipment is kept in peak working order. Our core team has worked in outdoor events for twenty years. We are fully trained in the rigging of our equipment. We work safely and smartly and provide Method Statements and Risk Assessments. We follow the latest Health & Safety industry standards. We hold PRINCE2 accredition for Project Management and know the ins and outs of the events industry. Clients like our flexibility and can-do attitude. We’re skilled in the use of Sketchup 3D modeling software which allows us to plan events in detail with clients. Over The Moon offer a unique mix of skills. We have a mountain of knowledge we put to work for our clients. 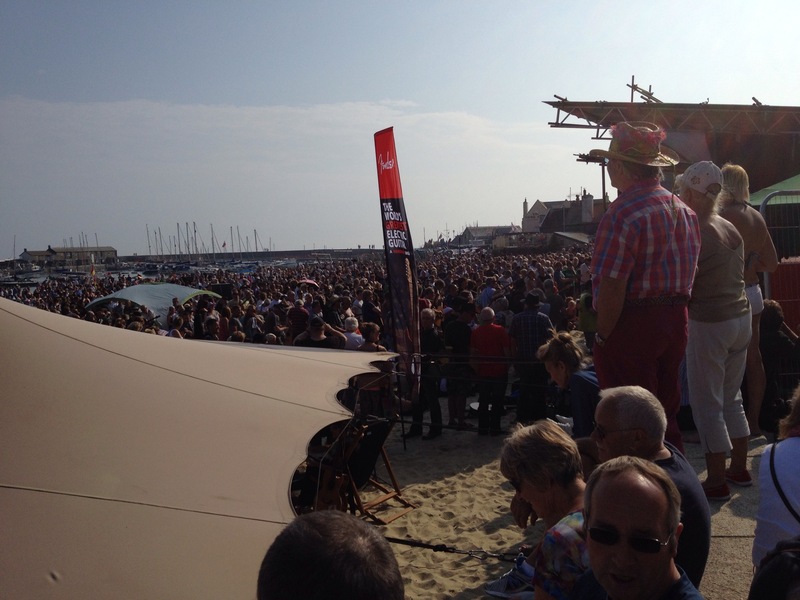 Our crew have over thirty years experience in the live music and event scene. We have worked in the tent and outdoor industry since 1997. 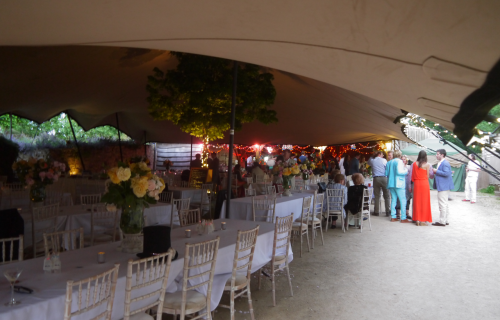 Wondering how much a tent or a full outdoor festival wedding is going to cost to hire? 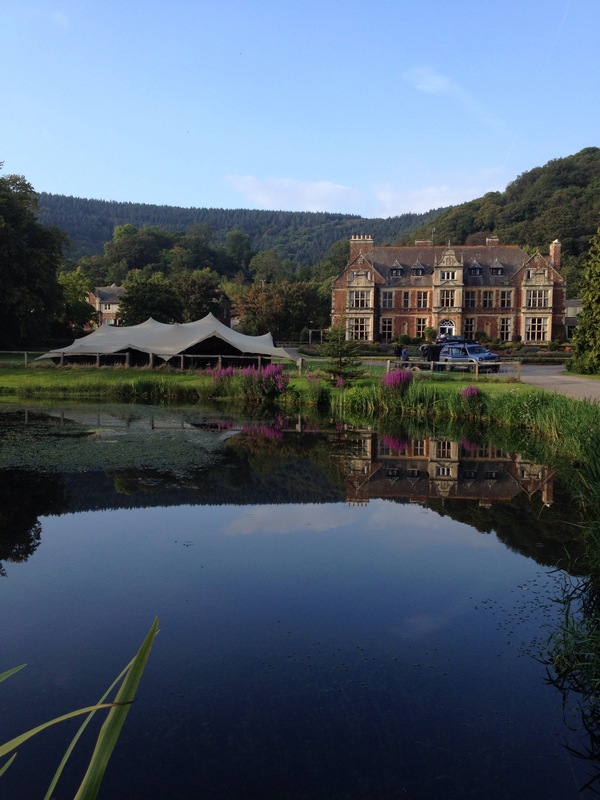 Or maybe you are a venue with regular events looking to purchase a tent? Please get in touch. We are here to help. Advice is always free.